In the past, many clubs have fallen victim to what is known as 'second season syndrome' and on the evidence of the first four weeks of this campaign, Huddersfield are showing all the symptoms of what can be a deadly illness. It's an illness that means a second season at this level ends in the ignominy of relegation. If this is to be avoided and the club end up getting the all-clear after finishing 17th or above come the end of the season, then it will need the likes of Aaron Mooy to deliver throughout the campaign. The Australian international chipped in with four goals during the 2017/18 campaign, a contribution that, although it did not go unnoticed, is one that he will be looking to improve on as he bids to make sure his current employers are not sucked into a relegation battle. Looking at the current football betting market for relegation from the Premier League, the prognosis does not look great for the Yorkshire based outfit. They currently find themselves second favourites for the drop at a price of 4/7. And when you consider the fact that three teams will be demoted to the second tier of the EFL Championship at the end of this campaign, it is not something that will make for particularly good reading for fans of the Terriers. Looking at their squad, there is not a great amount of fault that you can find; it is just that life has been made so much harder by the fact that promoted outfits Wolverhampton Wanderers and Fulham have raised the bar considerably after their large summer expenditure. Championship winners Wolves have already won a lot of admirers after their early season performances. This probably comes as no real surprise after they spent in the region of £100m in the recent transfer window, an outlay that was matched by London-based outfit Fulham. And although a new wave of incoming players means that the two sides will need time to settle and work out what exactly is their strongest eleven, they both look well equipped to deal with the additional cut and thrust that a step up in competition will bring. Huddersfield may have a season of Premier League experience behind them, but at the same time, you do have to wonder where exactly the goals will come from and, more importantly, who will be the person or persons to provide them. That's a burden that former-Manchester-City player Mooy may have to take on his shoulders. 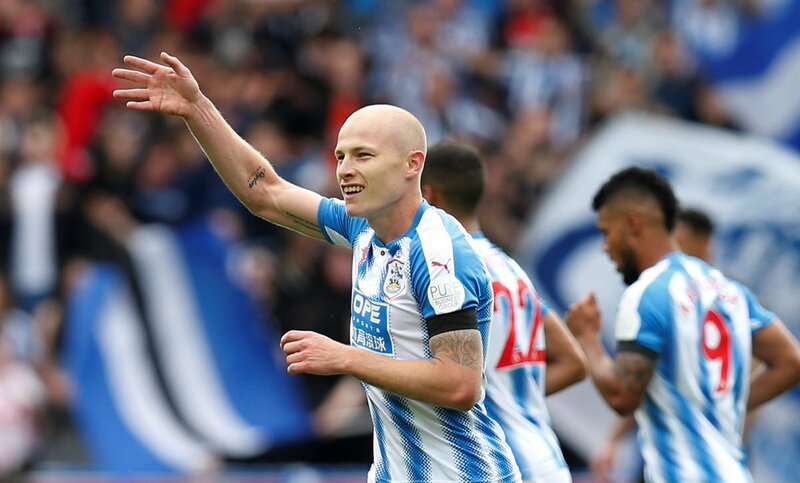 The 27-year-old registered just three assists in Huddersfield's debut Premier League campaign, and that's a figure he will have to improve this time around if the club are to have any hope of staying up. Only time will tell if this is the case.